This circuit was one of the first race circuits that I have ever cycled. I remember it popped up on boards way back when I was beginning cycling and we decided to cycle it, see what all the rage was about. Little did we know the difference a bit of speed makes. Back then I probably averages 20km/h if even on the run around compared to the race. So was it all that was expected? Well … no. I only realised where we were cycling during the race and remembered then, something which will hopefully push me to check the course route a little better in future. The day began with the usual half organised me packing up and heading off. In the car on the way I realised I’d forgotten something, not as bad as the previous week, but still not good. Basically I’d forgotten lunch. While I had some made, I didn’t eat it or bring it with. This resulted in my stopping off at a garage to grab a sandwich. It’d probably have fine if I ate it then, however I didn’t. I left it until after I arrived, and signed. All in all, less than 20 minutes before the start. Since there is a hill of sorts in this race, I did say I’d do something stupid with the hills and see how it goes. With the hill only half way around the lap and a long descent after, I knew I’d need to get across the top in front, preferably far ahead. On the first lap everything stayed together. Not working too much, but definitely together. During the second lap, one or two guys started off the front. Knowing about the hill, I tried to get people to work a little on the front and tried to pull it along. For a number of reasons, this resulted in my getting a few metres off the front, something that wasn’t helped by another rider I know following me up. Since he wasn’t in Swords gear, we went for it thinking they’d let us out. At this stage, we were still almost 2km from the base of the hill and on a slight descent. What was I thinking? We rolled along taking turns to the base of the hill and began up. Knowing from previous days, I decided to pop a gel and latched back on. We continued up but at the first big corner, he said look behind – and there was the group catching us. We let it roll into us but right when they did there was an attach. Something I should have expected but didn’t. This bit is a slight blur but I know I tried to go with and my legs couldn’t muster. At some point on the hill I partly threw up into my mouth. Lets just say that I’ll not be eating any chicken/stuffing/mayo sandwiches for a while. This was enough to push me out the back and not wanting to throw up more, I clicked down the big ring and rolled up with the stragglers. Over the top and down the long descent were about 6 of use grouped up. Some of them were left overs from the U16 race but we mostly worked and kept it going to the finish. While waiting on the finish, some other A4 riders rolled through, so the main group must have splintered on the hill. And people in the lead group also clocked a time of 1h3min so maybe we weren’t as far off as I thought. Overall I was disappointed with my result. However it was Wednesday before my stomach recovered from getting sick. To open the Swords league was a time trial, and a hill time trial at that. Perfect in all respects. The hill is short and steep with a kick up in the middle. Then I found out that the finish was up top after a flatish section. Luckily the first rec of the course on the night revealed that the top only has a very short flat section before beginning uphill, abit at a slight grade. Enough to keep me happy and result in my speed going up again on the uphill. I probably would trade some of my uphill speed for flat speed but that is just as it is. More training required. Due to a combination of being a little late and being placed on the second sheet, I was off near the end which was both good and bad. It left enough time to get properly warmed up and enough time to relax before the start. The road however was slippy enough, and as the night went on it became more so with the tractors going up and down from a field. I had decided to really make a go of the climb, at least get a respectable enough time. This resulted in removing bottles and the saddle bag, something I didn’t do on the previous hill TT. Being perfectly honest, I really didn’t expect much before I arrived and based on previous times was aiming for a sub 5 minutes. My rec had me believing I’d do a 4 minute something, possibly even a low 4. At the lineup. Off comes the Gilet. Down goes the bottle. Move into position and the bike is held. Some joking about still being on a compact. I clip in my left foot. Shortly after my right foot. Rotate the pedals into position as the time clicks down. Control the breathing. Get ready. 5, 4, 3, 2, 1 …… Go! Immediately there was a problem. A car had passed around and moved in from of me on the hill. For the first second or two things seemed ok. It looked like they were going to move fast enough to get out of the way and then they began slowing down. Disaster. I actually shouted at the car to go I got so frustrated at the corner since I’d slowed down and almost stopped pedalling. I do find it crazy just how much the mind plays tricks though as my memory of it and how I slowed down seems different to Garmin, but then Garmin does show are really noticeable drop. Once the car moved on I began up the hill. A slight adjustment to my climbing style was required due to the rear slipping somewhat, but either way I did feel alright. The usual leg burn but I managed to only drop off in one section so my fitness hasn’t dropped off too much. However the belly still shows. All in all, a good night out and next weeks race will be interesting to say the least. Owing to yesterdays race, I had decided to go along and just enjoy the lovely weather and see how the race went. 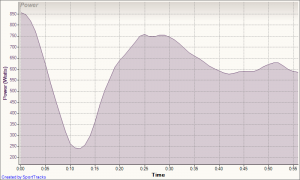 It was to be another 70+km route, 5 laps, however I only found out on the morning that it’d be a combined A3/A4 race. Very quickly it became apparent that the course was a flat one too so it was going to be fast. Having learnt from the mistakes of yesterday, I donned my short sleeved Swords CC top and no overshoes for the first time this year. Oh and a good helping of sun cream. The numbers for the race were high, 150 riders or there abouts, enough to really get the accordion effect going through the corners. And while you could live with that, the numbers (and stupidity) meant the group spread across both lanes until a car was seen, then it was a quick move left with hard braking. This brought about sharp stops while going along flat straight roads. Everytime I’d take a drink, I’ll leave a gap out just in case, and I was most definitely not the only one doing similar. On the last lap a breakaway started. By the first corner it was only 3 riders. Since I had no intention of doing anything really, I didn’t pay much attention. Somewhere along the next road, the group expanded out and was let sit. Our pace didn’t drop however, it maybe it did and I didn’t notice because of the constant start/stop up/down with the main bunch. One of the Swords lads Dave got into the break and mentioned it expanded out to 8 at one point but dropped off down to 6 by the finish. Overall a good days cycling with some lovely weather. The speed was up there and since speed is my weak point, it is probably the kind of racing I need to search out more off. Definitely I do need to spend more time up the front of the group, and possible off the front for some sort of a break. Lets see. This race was all the way up north. 1:45 in the car to get to it, but it was either this or one in Drogheda in a combined A1/A2/A3/A4 race on a flatish circuit. I choose the hilly one, and frankly I’m glad I did. It was a another beautiful day out with the sun shining and a very light breeze. After signing on I saw in the car and ate my rolls before getting ready. Right then I released I’d forgotten my shorts. Of all the things to forget. Luckily a bike shop was within walking distance. Quick trip around and I was set with enough time for a quick 20 minute warmup. We began with a 5km run out from the scout hall to the tracks start/finish which was on an uphill. The A1/A2 had their start moved to a line near the town which was basically a long flat road just after a bit of a descent. I was very thankful the A4 race didn’t finish there. When getting to the start/finish line, I immediately saw a problem. Just before the hill was a descent. A mild one yes, but before the hill I knew it’d give all the wannabe sprinters enough to pull way ahead of me. Something to watch out for. The race was going to be 5 laps of the circuit giving a total of 70+km. Longer than any of the other A4 races that I had finished. I believe the Des Hanlon would have been longer but the puncture stopped me in my tracks for that one. The course was a lot of up and down with only one shortish section on the flat but into the wind. It was enough to start burning people off on the first lap but the group stayed larger than I expected with the main hill. Presumably since there was a bit of a flat and descent after it, they were able to regroup while the main group did its usual lets not work. Admittedly, I’m also quite guilty of not working. Last year, I did do a bit on the front but in the wrong places, the Mondello Race was one I tried to sit in and conserve. This year it has gone the other way with me staying near the back most of the time, again something I will have to work on. On the last lap on the main hill, a few riders were up ahead pulling away. 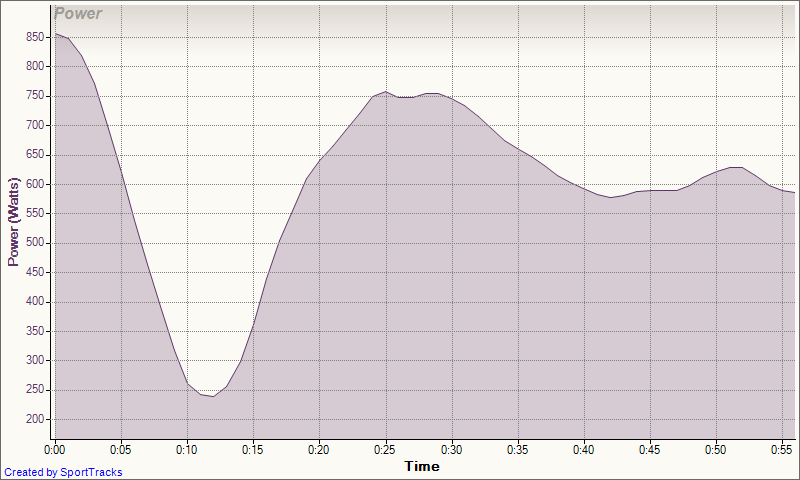 In theory I had moved up enough on the hill that I could have chased on but very quickly riders were falling off it. I honestly believed it would get roped back in very quickly. Strangely it dropped to one rider and the group slowed up. Someone from Bray Wheelers was off out on his own, and without another Bray Wheelers blocking the front, the A4 group did was it does best! Nothing. Normally they chase down everything but he was let go, presumably the locals thought we’d get him on the straight. Way before the straight, a time gap of over 30 seconds was called and it was very obvious that he was doing much better than expected. Yet no one worked. There was an uphill section after a longish descent during which I moved up the front in an effort to pull things along, but no one came. Few shouted to work but nothing. I switched my bidons, took a drink and drifted back into the main group. I know I wouldn’t be able to hold on out on my own so going would have been a mistake. By the back straight, a gap of 1:05 was called and we knew he had it. One of the locals tried a break further down the road but was just left hang. I really was in two minds about trying anything on the finish, especially since I was near the back again with the descent and couldn’t move up much. Still I came out wide for the left turn and did my best to move up, and I did somewhat, but anything I gained was lost on the descent section. At that point I decided to just sit in and finish out the race. What a mistake. As the road started going up, people started moving backwards at a crazy rate. At the last second I jumped up and decide to go for it making up a number of places, but I started way too late and only managed 8th. Pretty sure I crossed the line with a HR of 150 showing just how much extra I could and should have done. My garmin does should 170-180 for the finish but I wasn’t out of breath so what does it know! But each mistake is a learning experience and I know for next time. Since the race was running on roads that are both used in the Swords CC league and would be considered part of my training routes, I knew mostly what to expect for the day. Immediately on seeing the course, I knew my problems were going to be on the descent to Ballyboughal. A long fast descent at -3 or 4%. Why the descent you ask? Well I spent last year training for La Marmotte which means hills, hills, and more hills. As such I enjoy going up them and do so at a fairly ok pace. I’m still a bit off last year, but still enough to stay with the front of most groups on the ascents. For some reason however, I am unable to keep the power on during descents. Can’t figure out why. The race began with a short neutralised section. Enough to cover a warm up (even though I’d already spent an hour warming up due to be too early) and to take us along the rolling road to the descent to Ballyboughal that I don’t like so much. Before reaching the turn, another problem became obvious, my HR was way way too high. 175 to be precise, and during a neutralised section, well already not looking good. The Chinese from the previous night was going to haunt me. Luckily the descent was at a normal enough pace and the group held mostly together. I didn’t loose too many places during it which was a good way to be. The rest of the lap remained pretty much uneventful all the way up to the steep descent back onto the road from the start at the sports center. For those who have never cycled this road, it is effectively a tractor track that was tramaced back in the 80’s. Oh and it is really steep and has some pot holes right where you don’t want them. Then to top it off, the end has a little bit of a flatish run right before the sharp corner giving the impression that you can take it at speed. I was also told that the previous year, the finish happened along the straight after that descent. Everyone would have been happy it wasn’t this year. The group bunched up again on the flat road back to corner 2 and the pace was slow enough to easily take off my gillet since the sun was out. Once through corner 2 and on to the rolling road to the descent, the pace did begin to pick up. Right from the start I began moving up through the group in anticipation of a split happening. I think we were only a third of the way along the road when it did. And I missed it too, but the few guys ahead looked like they were motoring by the stranglers. Until the guy ahead of me started drifting back from his wheel. With a bush on my right, another cyclist on my left, and the guy in front drifting while beside someone, it was the worse position to be in. Luckily the guy on my left started moving forward and a gap opened. I was on his wheel and we began rolling forward. And fair dues to him, he kept the pace up all the way to the end while we picked up another rider or two. Right at the end, I sprinted up the corner to ensure I was near the front for the descent. Things looked like they were going fine and we’d catch the break ahead. Everyone started working together and taking turns. Somehow I missed the signals and on my way through for a turn, I couldn’t make it, sitting up I got the mother of all stitches and began rolling backwards. With a wheels length gone and not being able to hold on, I knew then and there that it was over. I popped a gel, sat back and waited for the main group. Most of the group of maybe 20 or so riders worked together to keep the pace going. Was actually catch a few from the break later in the lap although I don’t think we saw them before the finish. I didn’t bother pushing on the last hill, because really, why work for 10th? Still it was a good day out and some lessons learnt. I do have to spend more time training with faster groups through descents or even on the flats. Some more hours of pain wouldn’t go a miss either. A little late on the report but better late than never. Since the previous week in Carlow ended with a puncture, my goal for this race was simply to finish. Nothing more than to cross that line. It was this goal that stopped me abandoning after the first lap when things were going so slow and boring. No one was willing to work and anytime anyone tried anything, it was left hang with not enough people pushing off to get the breakaway. More annoying was the constant moving to the front and unpredictable side to side movements of some people. But that is what happens in the lower groups I guess. The second lap was when the pace started to up a little. 3 or 4 lads were off the front when crossing the line to begin the second lap and I took this as a chance to try get a work out. A sprint up and a shout to try get them to work and I was on the front. Powering on for 30 seconds did nothing however and only one person did anything, but even that was short lived. I sat up and fed back into the main group. Things did up a little at times but as soon as it bunched, everything slowed right the way down, and this continued all through the lap. I can’t remember when I saw the first puncture, but I do remember getting worried about finishing. Another one happened about 10km from the finish which again spooked me. It was then that I started moving up to the front as much as possible. Better to be up there when the final corner happened too, stay out of trouble and all that. Round the roundabout we went and a short sprint back onto the wheel. But with a couple of km of a drag left, it did start bunching up a little. So much for not doing anything, I started staying up with people as they moved off the front. Just as the second last move went, behind me I heard a shout and people were down. A crash. Luckly I was a bike or two ahead of it, and for those in it, no one was badly hurt. As I kept up the front, the pace quicken and I was still managing to stay with it, but the sprint hadn’t happened, yet. Then it went and 2, 3, 4 lads are off and those in front start too. Doing what I had practised, I was in the drops and began spinning up to speed, but it wasn’t enough. Crossing the line 7th with positions 4,5,6 all within an inch or two ahead of me, and I passed them within a foot or two of the line. It wasn’t the first time this had happened either. At least I know where I have to work on, and my sprint was much better than previous races.